Blogs. Bloggers. 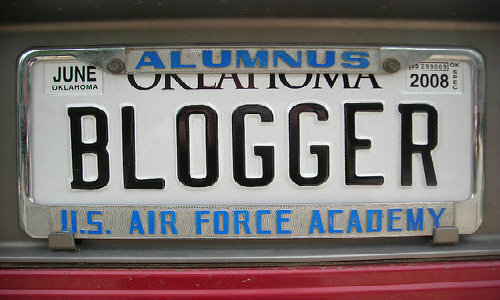 Blogosphere. Internet buzz words that we are inherently familiar with but which, for some, may cause a degree of confusion especially if you’re one of those people who have actually never come across them online. 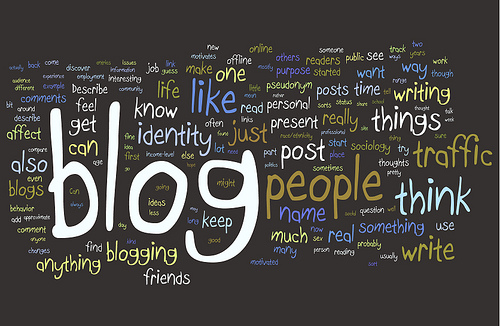 ‘Blog’ actually stands ‘weblog’; for the uninitiated, simply think of an electronic diary. Often used to convey information about a personal event or topic, such as preparations for a wedding or a round-the-world trip, blogs are also popular with businesses who share news related to their field of work. Anyone can set up a blog and a proliferation of free online sites enables newcomers to create a blog quickly and efficiently without the need for understanding complex coding. Writing a blog which is captivating and likely to interest readers, however, is something of a fine art so it’s worth considering a few key aspects to ensure that your blog is pitch-perfect and appealing. Getting the headline right is crucial for it is here that your audience will decide to either click to read more or click to exit speedily. It should provide enough insight into the blog post without giving the game away to rouse your reader’s interest and encourage him to want to find out more. In this respect the blog headline is little different from its compatriot in newspapers and it is worth as a blogger observing the five ‘w questions (What? Who? When? Where? Why?) around which journalists base their headlines. This doesn’t mean you should answer all five questions in your blog – quite the opposite in fact – but rather that it should be loaded with sufficient hints that your reader immediately want to find out the answers to those five questions. If it is short enough too then your happy audience may refer it on via Twitter or Facebook (but work on the basis of 7-10 words rather than the magic 140 characters Tweeters will be familiar with). It goes without saying that the quality of your writing is fundamental to an interesting blog but, with little opportunity for most people to write autobiographical in their everyday lives, don’t worry if you feel a little awkward when writing about yourself, especially for a public audience. As with any type of writing, establish the purpose and audience before you begin. If you are targeting family or friends, you may find this easier as you can express yourself as you would in real life without worrying about creating an artificial persona for the sake of people who you are unlikely to ever meet. Aim to write in a similar way to how you would naturally talk without overdoing the flowery language or clichés (unless, of course, this is how you would naturally talk). Be yourself, relax and, if you have a sense of humour, make sure this shines through. Must Read: Bored with Blogging! What to Do Next? As you are writing in 1st person informal English (this isn’t a letter to the bank manager remember), you can happily use contractions (I’m, don’t, isn’t etc). Above all avoid irritating SMS language (that’s txtspk to u bro). Although your style needn’t mirror that of your educational style, it is a good idea to think about writing in a style that wouldn’t shame you should a future potential employer stumble across your blog. And in fact, blogs are an excellent way to allow you to adopt a personal style and are a particularly wise past-time if you intend to pursue a career, degree or even masters in English – you’ll learn more than you think about writing styles, both your own and others. You needn’t write the equivalent of the Old Testament in your blog posts – in fact, many experienced bloggers would advise to write short and succinct texts as opposed to lengthy sermons. The key is to choose your topics wisely to engage your chosen audience and give them something interesting to chew over. If you’re creating a blog for your family to update them with regular news then you’ll probably hit the mark straight away but for a broader, unfamiliar audience you may have to think harder to identify the posts which are going to appeal. If you’re running a business, look out for relevant news stories which are directly related to your field of work which you know your customers will be interested in and which will increase traffic to your website. Avoid posting anything defamatory, libellous or provocative in a criminal sense and you’ll stay the on right side of the law. There’s nothing worse in writing than passing off someone else’s work or ideas as your own and as a blogger you should always cite your sources, whether it is a quotation, concept or photograph. We’re not talking of university-standard referencing here; simply referring to the original author, blogger or website (with a hyperlink to that site) is sufficient and will also help you to avoid falling foul of copyright laws. While we referred earlier to a blog as a kind of online diary it is, in fact, intended to be more conversational than a private journal allows. For this reason it is important to allow your readers to leave a comment on your text to which you can reply. You might be turned off the idea when you realise that not everyone will agree with you or like your work but free speech and intelligent dialogue is central to the blog ethos and it’s also a great way to receive valuable feedback. As a blogger you should now consider yourself a writer and user feedback, both positive and negative, is unfortunately part of the territory. Do keep a check on the comments, though, just in case anything defamatory or offensive is posted. You’ll be able to remove this swiftly. Blogging is fun, educational and a fantastic way to create a relationship with the outside world, whether it is family, friends, customers or even the wider general public. But remember the appeal factor: take active steps to make your blogs interesting and relevant and you’ll be more certain that your posts will be noticed rather than vanishing into cyber-obscurity. This article is from blogging expert, Zani.